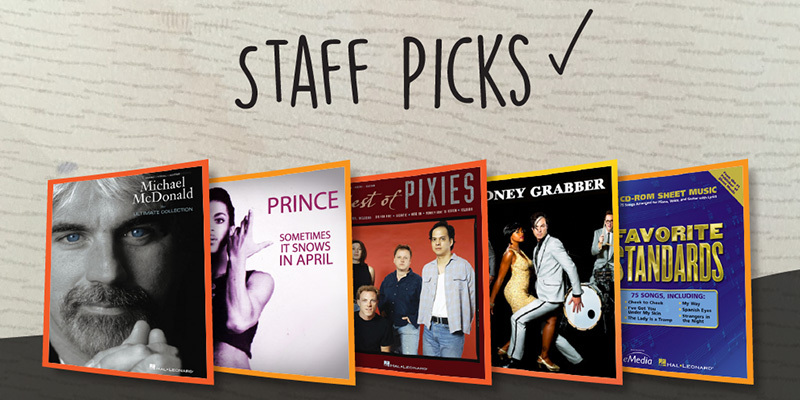 Our Staff Picks feature is always a refreshing mix of artists and styles. This week's selections includes classics from Prince, The Pixies and The Doobie Brothers. We hope you enjoy! Don't forget, you can click the artist/song name to find the sheet music for each song. "This bossa nova has a beautiful descending chord progression in the verse and a bridge that takes full advantage of the Dorian scale. Play with a percussionist or drummer to experience the full bossa groove!" "It's hard to pick a favourite song from Prince's incredible and diverse back catalogue, but this acoustic ballad has to be one of the most enjoyable to play on piano, featuring some unconventional chord progressions in the chorus." "This song is one of the most enjoyable soft rock songs to play on piano – and a must-have on anyone’s playlist. Written by Michael McDonald and Kenny Loggins, “What A Fool Believes” is guaranteed to put a smile on your face!" "With their new album Head Carrier getting rave reviews, now's the time to brush up on this Pixies all-time great, as featured memorably at the end of the movie Fight Club." "Money Grabber is a throwback and soulful pop tune with impeccable production and a singalong chorus. With lyrics like "Don’t come back anytime. you’ve already run me dry. This is your payback, money grabber," you probably shouldn't play this one at your next wedding gig!"